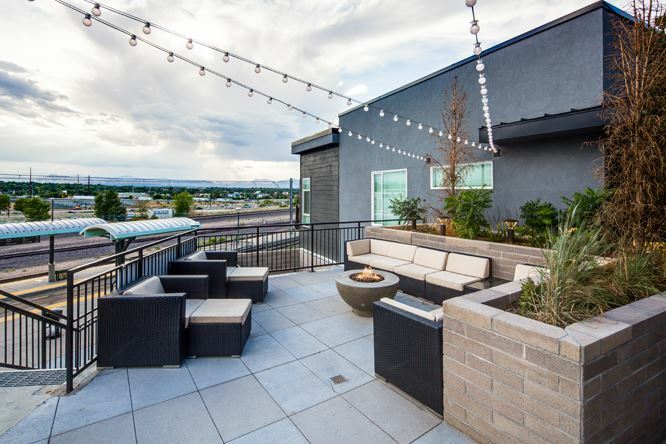 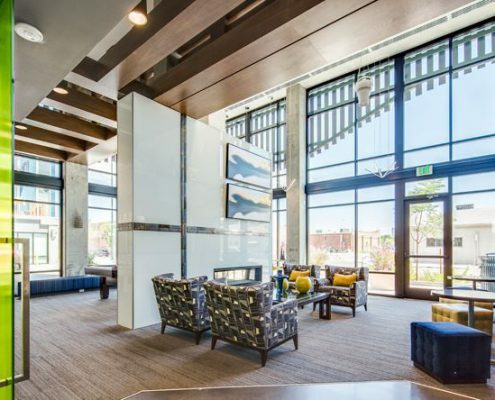 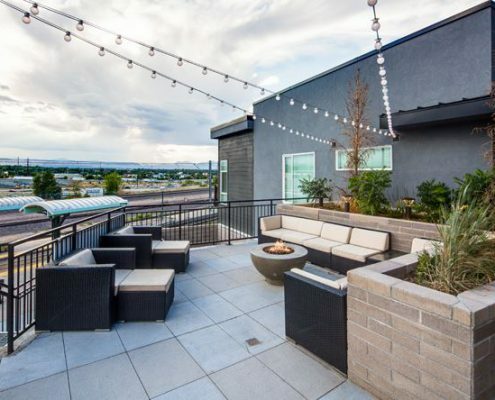 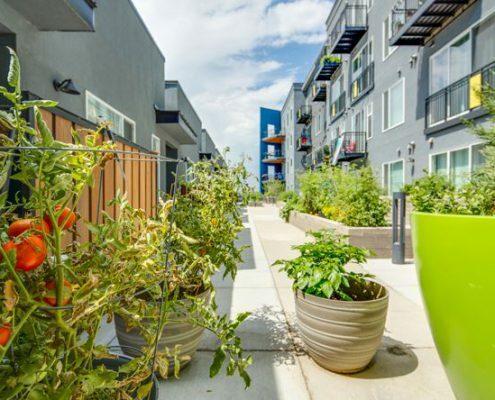 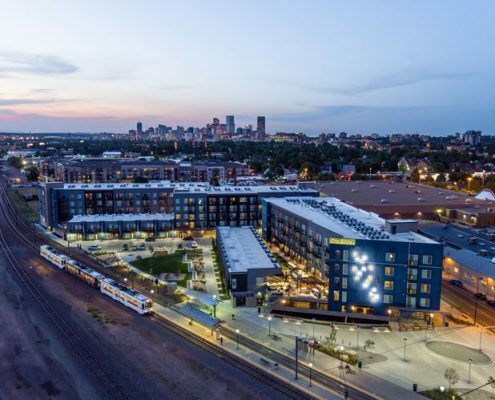 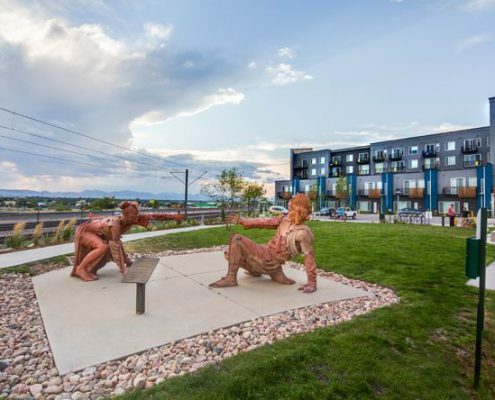 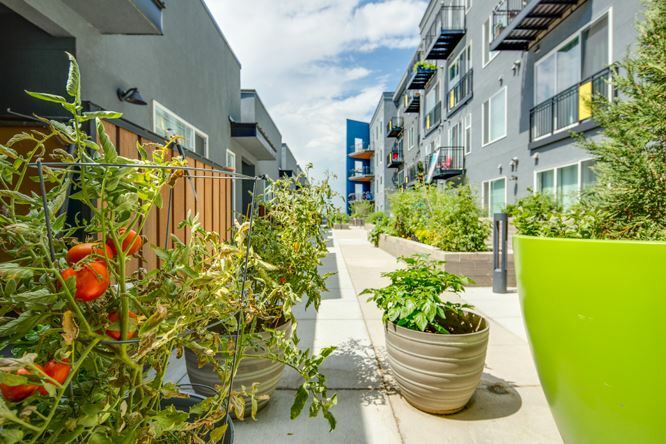 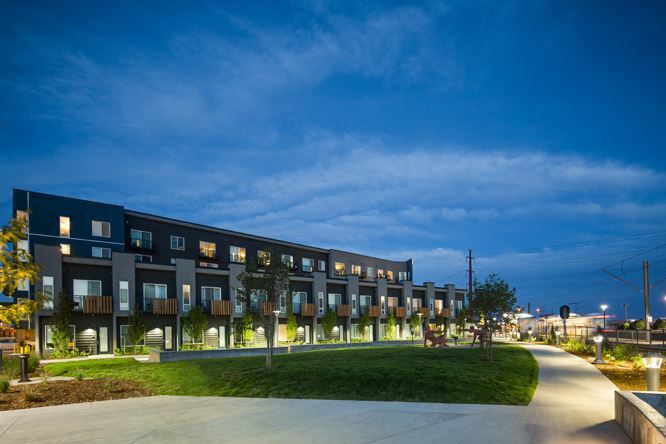 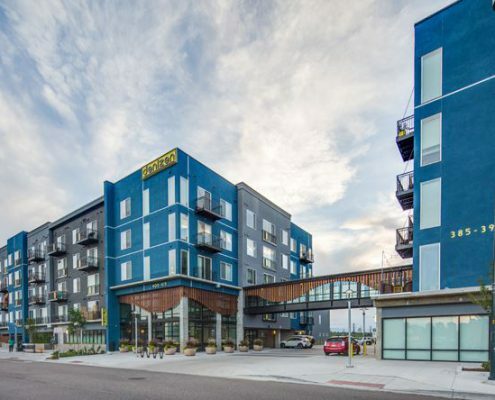 Denizen Apartments is a for rent apartment complex located immediately adjacent to the Regional Transportation District (RTD) Alameda Light Rail Station in Denver Colorado on an approximate three acre site. 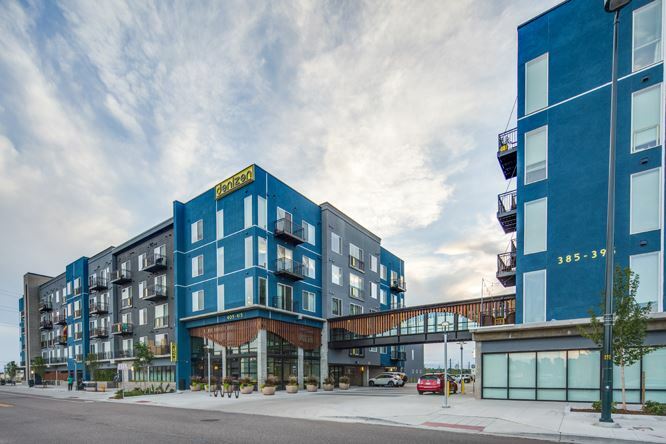 This Transportation Oriented Development (TOD) is four stories of wood framed structure are constructed over a structural concrete podium. 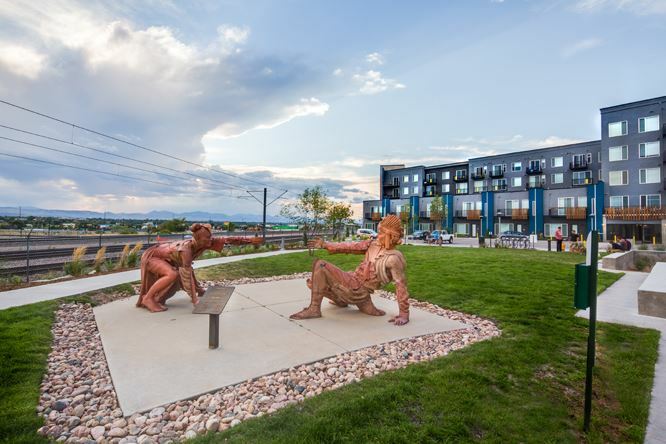 The project scope includes a public private partnership (P3) with the City and County of Denver to construct a major storm sewer outfall project through the property to alleviate neighboring and on-site drainage issues. 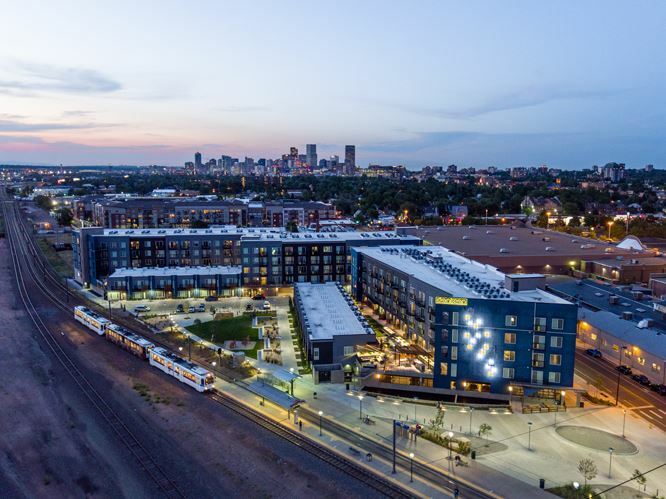 Redevelopment of the current RTD Transit Plaza will also take place, which will be linked to the apartment “Resident Green” to create a community activity area. 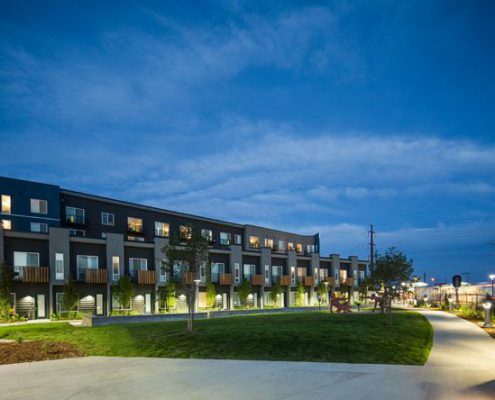 The complex will include townhouse units, covered parking, fitness rooms, community rooms, a second level amenity deck, and street level retail. 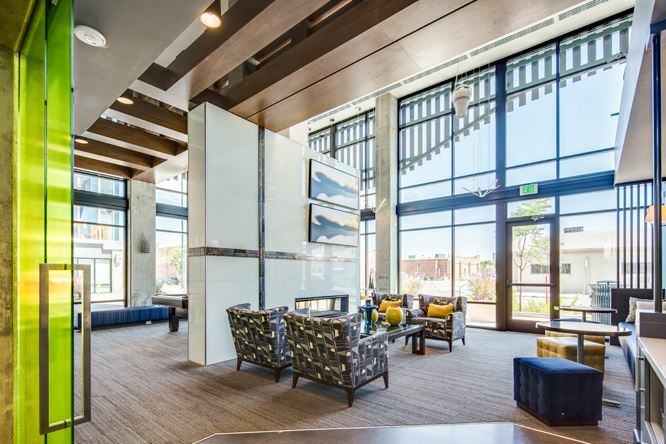 Unit mix will included studios, one bedroom and two bedroom units.